Depending on demand for the centre, SBI plans to open more outlets serving the South Asian workers. Responding to Singapore government's initiative for making it "easy lifestyle" for construction workers at dormitories, the State Bank of India has set up a remittance centre in the suburb Punggol district. 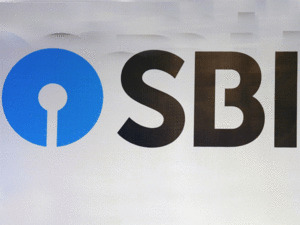 "This is in line with the Singapore government's initiative of providing doorstep facilities for the workers living in dormitories," Soma Sankara Prasad, SBI's Country Head, told after opening the centre on Sunday. Construction and marine industry workers can remit to their homes in India and Bangladesh in rupee and taka, respectively, he said. The centre will operate late in the night. The centre was opened by India's High Commissioner to Singapore, Jawed Ashraf, on Sunday. This reduces the worker's time to travel to main banks and branches in city areas, he pointed out. Depending on demand for the centre, SBI plans to open more outlets serving the South Asian workers. These centres will be in addition to the 25 ATMs and branches SBI is allowed as a full qualifying bank by the Monetary Authority of Singapore. Rupee remittance was about SGD856 million as end of last year. Thirty-five per cent of the 285,000 construction workers in Singapore are from India. Rupee remittances have been becoming easier with online transactions and the spread of remittance points in Singapore. The multiple modes of money transfers include Rupee Remittance App for Rupay-NETS which was launched by Prime Minister Narendra Modi on May 31, 2018, duri ng his visit to Singapore. Thirty banks in India will be managing the UPI Rupay-NETS (Singapore's Network for Electronic Transfers) by end of this month, according to Prasad. It is currently handled by 10 banks. What's on the table in Singapore? Nukes or normalisation? 33 Hilarious Photos Taken in Walmart Will Make You Cry Laughing!